Mark is an experienced leader who believes in bringing together great team ethos and evidence informed approaches to address big problems. Mark is experienced in working with teams to develop a clear strategic vision and build investible propositions around that goal. He has worked extensively with organisations in the health, education, and scientific research sectors. He is experienced in working in environments with a multiplicity of stakeholders, working to achieve consensus and a shared common goal. Mark has particular expertise where there is a physical environment or infrastructure component to a challenge. Trained as an architect and having led major infrastructure project teams Mark has a firm grip on how such investments are driven: his experience extends to involvement in the delivery of over £1bn of such investment. With the benefit of that experience by contrast, he will be the first person questioning whether a change in behaviour, digital strategy, model of care, or service strategy is as important as, say, a building. Since first participating on an expert sounding panel in the ‘Clever Classrooms’ study led by Salford University and with subsequent experience of ‘designing in health’ to communities and learning campuses, Mark has been increasingly focussed on the need to reunite research and practice. He is particularly keen to reunite physical environment and public health. 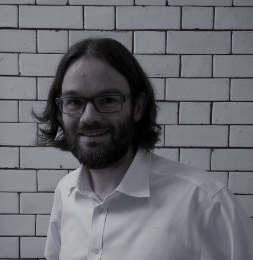 Following 15 years of experience gained working internationally in design practice he is now putting this vision into practice, firstly as a doctoral researcher at the WHO Collaborating Centre for Healthy Urban Environments, combined with putting this into practice at Urban Habitats.